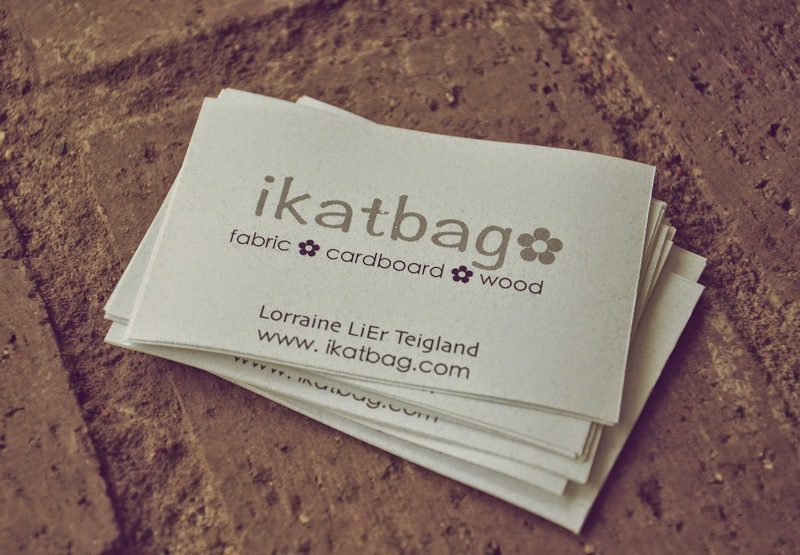 Last week, I finished filing my state taxes and balancing my 2014 ikatbag accounts. A little bit of hair-tearing ensued, but all was well in the end. I think it's funny that I'm all Physics and Engineering and whatnot, and I'm still abysmal at number crunching. Death to the stereotype that Science people are also Math people! Bosh. This time of the year is also when I entertain thoughts of shutting down the business, I loathe record-keeping so much. I sit there with my calculator and spreadsheets and strong, strong tea and ask myself, "Why can't I just sell one thing? Like just pdf patterns? Or just etsy items? Or just get paid for publications? Why is it that I can creatively multitask and multi-media dabble, and multi-child co-craft but I can't for the life of me document these various arms of my business without getting them all mashed up together up in my head?" I think I need an administrative team, is why. Like a secretary to field all my email, and not just the ludicrous ones that beg for free tutorials and free dress patterns in their preferred size. And a legal advisor to sit me down and translate legalese into English and to draft all my formal letters and tell me all about copyright and why I should not accept this contract and that assignment. And a financial accountant to do, well, all those number things that give me rash just to think about. And an editor. And a chef to feed my children, and a driver to get me library books and interfacing and zippers and bring my children to gymnastics and swimming. And a cleaning crew so my house doesn't fall to ruin every time I have a deadline to meet. And that's just taking care of the basics. We haven't even considered the other people I'd like to employ to enrich my life, like a personal trainer, drum instructor, violin teacher, Spanish language coach, hairstylist that does house calls, aikido sensei . . . I'd probably also need a resident sorceror, to magically add hours to my day to squeeze everything and everybody in. So what were we talking about before I went off on my Rant of Discontentment? So I have a craft business. Yes, I admit that publicly. I started officially sewing-to-sell about 6 years ago but it took me at least a couple of years after for that fact to sink in and for me to accept that I was, once again, working. That I was in employment. That I had income. That I was no longer a hobbyist only. That my work was public and priced and accountable to customers and the tax people. That there were expenses and profits and overhead to document. That there were legal things to know and financial things to do and marketing things to perform. That there were now different standards and expectations on my work. That I needed a different way to use my time than when I was just sewing to blow off steam after the latest naptime power struggle. Yet it seems like I am holding back. I have said no to endorsements and reviews and advertising. I have said no to projects and assignments and commissions. I have said no to collaborations. I have said no to publication. I have said no to commercial outsourcing. Some of those Nos have been actual words, turning away actual email, letters, suggestions from actual people. But some of those Nos have been only in my head as I close doors to possibilities and fantasies. I am not unhappy about my Nos. I think, were I at a different place in my life, I might have said Yeses. I would like to publish a book, design for a big corporation, launch a sewing movement, lead a team to teach in a third world country. And at the end of my life, I'd have been able to say, "Look what I did - single-handedly transformed the way America sews by bringing flat pattern drafting into every home seamstress's sewing room!" Oh, that would have been grand. Stark truth: I have only 24 hours in a day. And it takes quite a few of those hours to not only start a business but to maintain and grow it. So this is what my business looks like right now - it is more cottage industry than empire. My etsy store is only erratically stocked. I write patterns whenever. Occasionally I am in some magazine or book, and never as the author. Abby Glassenberg, toy and pattern designer and author of books like Stuffed Animals: From Concept to Construction and who blogs at While She Naps, recently emailed to pick my brain on the state of my sewing business. We talked about choices and motivations and considerations and other things that are behind why some people craft as a hobby rather than for profit, in spite of all that indicated they'd be roaring business successes if they so chose. Read her post here - I share some of that conversation, alongside others who have made similar decisions with their hobby/business. The irony is that turning one's hobby into a business (and I don't mean accepting adverts or sponsors on one's blog; I mean actually selling the physical work of one's hands) is an intensely personal decision for something so public. And I get the sense that many of us who similarly say no sometimes feel regret, as if they might be passing up something that they should be saying yes to. Some of you might have read my earlier post about my first business - ikatbag is my second - when I was in college. I was young, energetic and enterprising. And on summer vacation. And single. And not a mother. Time was wide open and the road ahead unpaved. Oh, I had fun in those early years. I stopped because college ended and I began my 'real' career as a teacher. But I don't wonder what might have happened if I hadn't. There was no question at the time: sewing was always hobbyesque, and while my business was a wonderful and lucrative learning experience in marketing and production, it was simply a full-time job for three or four years, never a profession or career. Now, years later, I am at that same place, except with children and my own house to run (and meals to cook and laundry to do). More than physical responsibilities that splinter my time, I also have different roles to play to people who need me to be there for them: mother, wife, daughter, daughter-in-law, occasional teacher-helper, crafting coach, party planner. I think that we need to develop thick skins as artists and know what motivates us as hobbyists and/or businesspeople. By that I mean that we should not be ashamed if our art is motivated by profit - we have bills to pay, after all, and it is a perfectly honorable way to earn an income. Nor should we be ashamed if our art is motivated by other things: expression, or pleasure, or prestige, or the esteem of our peers. That motivation will cause us to set our expectations and standards accordingly. When our work becomes public, we put pressure and expectations on ourselves to constantly improve our art and we feel obliged to keep abreast with what's trending, what's in demand, what people like. When we slap a dollar value on that same work and attach both our reputation and heart to it, it becomes even more so. And that in itself is not a bad thing, because it helps us do the best work we can and it shows respect for our craft and for the artistic community we are a part of. But it's a big enough investment of ourselves that we would be wise to know why we do it, so that we can be true to ourselves while doing it. For me, time and timing are a somewhat Big Deal. Because I don't have a lot of it right now, and not just for actual sewing. Let me clarify. I can mass-produce like a maniac because I've been doing it all my life. And I can do it with loud music blaring and while talking to my children and while Skyping Mum in Singapore and while alternating between stirring soup on the stove and watching TV. But creative designing - the truly artistic aspect of my work - I can only do in a vacuum without distractions, and without deadlines. Anyone who's had to incubate an idea will know this - you cannot produce it on demand, and there are no rules to tell you when you've Got It. You'll know it only when it happens - that moment when the various floaty, ethereal inspiration things in your brain coalesce and you just know: this is it. Yes. It can happen anywhere - in the shower, while bouncing sub-ideas off a friend, in the car in the pick-up line at your kid's school, as you watch your toddler play. But it very, very rarely happens when you will it to. It's a delicious thing to do this on your own time - sometimes I sit on an idea for years before it is fully cooked and pops out of the mental oven, so to speak. And even then, those years are never dormant - other, earlier inspirations are concurrently percolating, so that at any given time, any number of developing ideas can hatch and demand to be put on the production line to be turned into fabric, cardboard, wood, words. That is my mind on creative mode: unorganized, unsystematic, non-linear and unconstrained, completely opposite to what it has to be when I am mass-producing or accomplishing chores or checking off to-do lists involving homework and meals. It's different for everyone but my own rule-of-thumb business guiding principle is this: when the Time I need for creative incubation intersects serendipitous Timing, I say Yes. And I slot the comparatively mindless mass-producing in the gaps. And I don't worry about what a full-fledged business is supposed to look like, or other people's definitions of ambition or enterprise or balance. Because some months my craft looks like a hobby. Other months it looks like work. And still other months, it just looks like taxes. Over to you: is your hobby your business? Or not? There's a huge difference between scientific math and business math. I flunked Algebra and aced Accounting. It's okay if we're not good at everything. And there are days when I wish I had all that household and personal help too. Your talents and skills are totally amazing! I'm at the beginning of building a craft business and it's pretty daunting, but I see so many others who do it, I take courage and believe I can do it too. Keep up the good work. I was going to say virtually the same thing but in reverse. When we played Scrabble in grad school, it was the historian who kept score, not any of the mathematicians! I tried to turn my crafting into a business, and I still have patterns for sale, but I have insufficient passion about it to do the things required to make any sizeable amount of money out of it. Letting go of that in the last six months has been very freeing, though. Rozy Lass: All the best with your business. Don't feel intimidated; start exactly wherever you are and build it slowly. If it happens, hurrah. If it doesn't take off right away, the timing (or market) may not be right. Tweak it a little, and keep going. Very few of us soar from the beginning. It is ALWAYS slow at the start. But that's good too, because it gives you time to ease in to all the various exciting new things to learn. Rebecca: Good for you, finding that place where you are okay to let it go. Someday you might return to it, or not. Or do something completely different with your craft. You never know. And if you do enjoy a rerun, all the lessons you learned from Business #1 will help you with Business #2 (and #3, #4, etc.) The learning never ends! I want to and I don't want to (run my hobby as a business). I had the opportunity to play with a lucrative sewing-based business a few years ago when the day job dumped me down to 10 hrs/week. I can do it and make a good income. However, the day job has benefits which are difficult to pay for and it's of a physical nature, so I get a workout also. For right now, combining the two seems to be the way to go for me. I agree with you about the creative process - it will come out when it's good and ready. Distractions are not my friend there. i decided to keep crafting for fun and not turning it into a business after i agreed to sew two projects for friend for pay. i absolutely hated it. i don't like creating under pressure, i don't like mass production, i can't imagine to follow through on the process to make and tweek and improve a pattern to sell... to me the whole fun in it is to just make the idea happen. i usually ponder over an idea for a while and when i have it all figured out i make it. done, happy me. and zero motivation to repeat the same thing. no need to be perfect either. not even money motivated me to repeat the same project. so i keep sewing whenever inspiration strikes, but i know i wont turn this hobby into a business, even though people keep telling me that i should. i do know however that i love to learn new stuff and analyse processes and to figure out to improve them. this skill of diving into a new field and improving it is something that i would love to use to make money with. i just haven't figured out how. I'm the same position as you right now! A friend had tasked me to help her create a custom bench cover a couple weeks before X'mas. I have yet to start cutting the fabric, and it's already March! There's that fear of screwing up the dimensions, and yet at the same time, lack of motivation to just do it. It's not exactly a straightforward thing like sewing two seams together and I just can't find the inspiration to "hack" a pattern out of thin air! 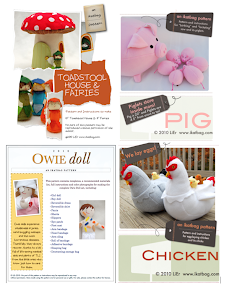 I love making, and a few years ago considered running a creative business when I was made redundant. However, the period needed to grow and establish a business with very little income resulted in me returning to full time work. I have a creative job as an art teacher and creating art and sewing keeps me sane and benefits both myself and my students. I do the odd commission, and have exhibitions from time to time. Maybe one day I'll do it full time. I am new to sewing, but love it and have no desire to sew for anyone but my two girls. Echoing what others have said, particularly Lydia.Purple, and what you said in the post, sewing for others or profit means a different level of performance and with that, pressure. Whereas I made four different dresses for my girls this week without any pressure, only pleasure. I also have no desire to get into all the other things business requires which were described in the post. That being said, I am super grateful to those sewing moms who DO put out tutorials and patterns for free or for sale. I would not be where I am without those PDF patterns and amazing tutorial series like the ones you make LiEr. I have only a faint clue as to how much time and energy it takes to do that. And here I as a hobbyist, and subsequently my girls, benefit from that time and energy! I'm not really "self-taught". All the mom bloggers have taught me how to sew. The sewing machine would be collecting dust if I only had a few books and commercial patterns. Also, with the comments about needing mental space to create, this is why I don't understand how the contestants on Project Runway can create in such a situation! Amazing! MaryAnne: I'm with you on the time spent on the blog. Yes, my business influences the time and effort I put into my blog to build my platform and market. It's a good thing I like blogging! My hobby is definitely staying in the not-for-profit category. At one point I made Mei Tai baby carriers, and after making close to 60 of them on a custom basis, I was just DONE. It stops being fun when it becomes a job, and then it is just another obligation. I want my sewing and creating to be fun, and on my own time. I get people telling me I should sell some of the things I make or sell patterns, but I don't really have the time or inclination. I have a full time job that pays me well. I don't need the extra income or headache that comes from trying to track everything. 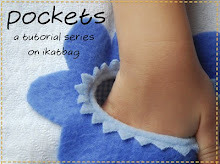 So...I just sew and create for my kids and I, and occasionally post tutorials when I feel inclined. Very pertinent post! I struggle in my mind all the time with my business. I make mobile apps, and there are things I know I should do to make my business more successful, but I don't, because I am a mom and have 50 other things that also need my attention. I feel this obligation to desire a highly successful business, but I really just desire a moderately successful one. And I struggle mentally on whether that makes me cowardly--so it is nice to know that other people have similar goals as I do with similar potential. I recently started doing more freelance software development, which is much more lucrative, but I still pine for my own projects. and sewing has taken a back seat to it all, which is sad. You so vividly describe the "splintering of time and focus" that I'm always trying to explain to my husband. I've never had a time in my life when concentration was such a luxury. I love being a mother, and it's what I want to devote myself to first in my long line of titles, but it's so invasive! I never appreciated nap time until I got to this stage between no naps and kids not being old enough to go to school. It's so fun and engaging! We can do so much together. But it means I can do so little by myself! I love it and I'm baffled by it. Thank you for this post! I started a sewing business several years ago, but after I got married, kids and mortgage I prioritized a steady income and time with the family. Ever since I've been thinking about all that could have been, and been feeling bad about everything I said no to. Thanks to your post I now feel a lot better about my choices. I still dream about starting up again, but that will be after the kids are older and loans smaller. As a side note, I loved math in school, so I figured I would study physics. I qucikly realized that that was not for me, and became an accountant instead. What a timely post! I just met with a young woman today about making her a wedding dress. I have mixed feelings because whenever I take commissioned jobs, my home life gets very stressful,and I have a hard time juggling my other responsibilities. Just don't know it it's worth all the headaches for not so great money. But I just love sewing pretty white dresses and making something so special for someone. Hi. I really love your bunny. I was considering making it for sale on my Etsy site and crediting you with the pattern. Then I read your copyright information. So I won't be doing that. You might be interested in this link: https://rusetsy.wordpress.com/category/etsy-shut-ups/page/2/. If I were in the business of creating patterns, I might consider the monetization aspects of offering my patterns for resale with conditions (link to my site, credit the creator, etc.). Food for thought. Somehow running your craft business while taking care of the rest of your life would be less difficult if the tax paperwork was less onerous. our current tax forms seem designed for inconvenience. Excellent post! So much wisdom and food for thought. I have decided that my family is my priority, so any money-making at this stage of my life takes second place to them. That's why I'm not teaching right now (I'm a high school English teacher) and why I'm freelance editing which is wonderfully flexible for family life. I've had an etsy store for 5 years (oh my word!!!!) and it's pretty low-key, which suits my creative speed. I've been invited to larger projects, both as an editor and a sewer, but still wanted to keep my main creative force at home, so I said no. I expect that might change when the children are out of the house - I've seen empty-nesters really enjoy exploring new things at that stage. My hobby turned very quickly into a business that was growing faster than I'd ever imagined. Then came the family and I no longer had time for it. I kept up the website and nothing else and now and then a pattern sells and money appears, but not enough to cover the cost of the payment gateway, etc... I thought of selling it or just stopping it for awhile, but I'm glad I didn't. I'm now getting back into a position to take it back up again with some new, fresh ideas. With the internet age, the competition is more stiff, but I rather think that's a good thing since it also indicates an increase in interest in crafting and home sewing, which is good for business.